PAWS Assist the Needs of the District Attorney (PANDA) is a joint program with the Orange County District Attorney’s Office (OCDA). 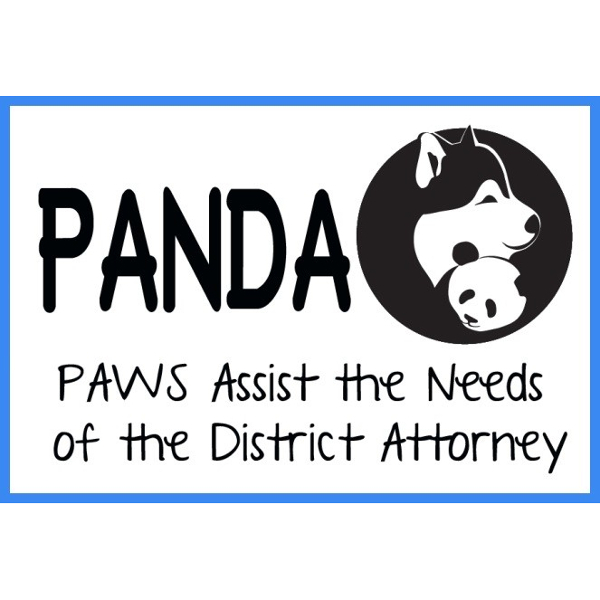 It uses selected memebrs of our Pets Are Wonderful Support (PAWS) Therapy Dogs to help comfort child victims of sexual assault and abuse while they meet with OCDA staff to prepare for their cases and trial. Our PANDA program gives victims the assistance they need through the gentle, caring support of one of our PAWS Therapy Dogs. Children of sexual assault and abuse are able to have a dog present during their meetings with OCDA staff while they prepare to take their case to trial. Volunteers and their therapy dog help comfort the child during the difficult process and provide them with the support of a gentle and caring dog. This makes the meetings more productive and the victims feel better by providing a non-judgmental furry friend, who is there to support them each step of the way. This program is available for our selected experienced and approved PAWS Therapy Teams.